Roku's newest software feature tries to make sense of streaming video, but the set-top box maker hasn't quite nailed it yet. One thing has become abundantly clear about streaming video: We need better ways to sift through all the apps. Roku understands this, which is why the company has been building up a feature called Roku Feed. Think of it as a modern interpretation of the DVR's program guide. You pick which TV shows, movies, and actors you like, and Roku notifies you when new content arrives or gets a price drop, drawing from services including Amazon Video, Hulu, and HBO Go. 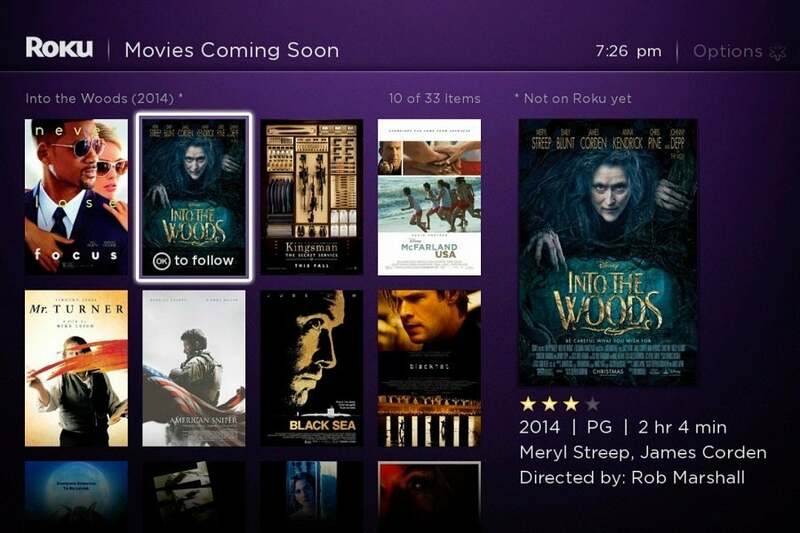 To add movies to Roku Feed, you have two options: You can either search for the title directly, or browse a list of films that are still in theaters. The latter approach is especially useful, since it can be hard to remember exactly which movies you want to keep tabs on. Unfortunately, no such list exists for TV shows or actors. If you want to add these sources to Roku Feed, you must search for them by name. I asked Roku PR if TV and actor lists are on the way, and the company would only say that it hasn’t announced anything to that end. Roku Feed offers a list of upcoming movies to browse, but there's nothing similar for TV shows or actors. I hope Roku’s working on something, because it’s a golden opportunity to transform Roku Feed from a simple watchlist into a powerful recommendation engine. If Roku could go a step further and personalize these lists based on past additions, it’d be miles ahead of anything that other streaming boxes offer. Part of the problem could be that I’m expecting Roku Feed to be something it’s not. Today, it’s not so much a starting point for watching TV as it is a personalized video news feed (hence the name). 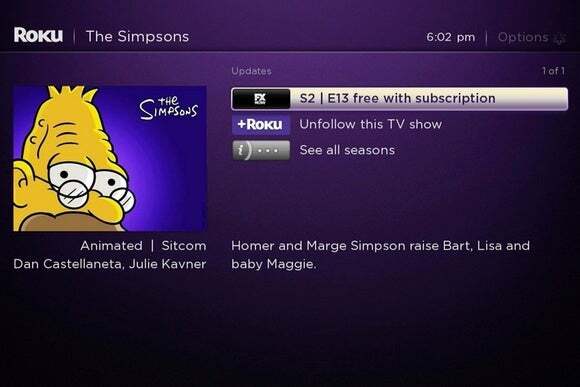 Roku always shows the newest updates first, with no way to sort by name, media type, or genre; and on some level, this discourages people from adding an unwieldy number of items. If Roku were to make browsing for TV shows and actors easier, the next logical step would be to add more sorting options for the actual watchlist. I fully acknowledge that expanding Roku Feed this way could overcomplicate matters, but it might make sense as more users become familiar with the feature. Beyond Netflix, Roku Feed doesn’t "see" content from Showtime, NBC, or HBO Now (though it does draw from HBO Go). And the list goes on. None of those sources are feeding Roku’s search engine either. We can only hope Roku will open up search and its Feed to more sources, and that those sources be willing to participate. This image from Roku’s press department suggests that FX Now content appears in search results and Roku Feed. It doesn't. 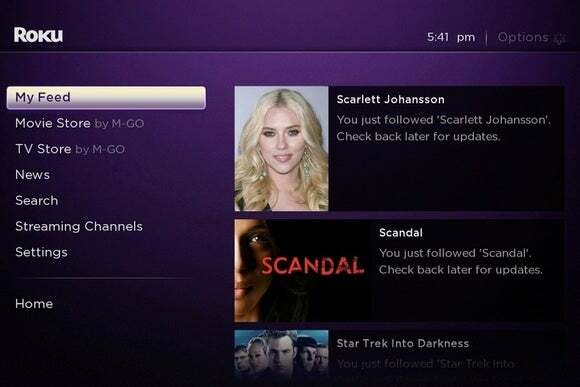 Roku hasn’t solved the universal watchlist; then again, neither has any other media streamer. For the most part, streaming-video boxes still require bouncing between a bunch of apps to figure out what you want to watch. While Roku Feed has a long way to go, it’s at least an acknowledgement that there’s a better way.